Speaking recently in Colombia, bestselling author Jonathan Franzen decried the emergence of eBooks, apparently saying that impermanence of eBooks is incompatible with enduring principles. I disagree. I think the two are unrelated. His comments remind me of Clifford Stoll’s book, called Silicon Snake Oil, that was published in 1996 and so badly predicted that the Internet would not live up to the predictions that many were making at the time. He was entirely wrong, in part because he did not imagine the savvy adaptations that would emerge in the decade after his book was published. He also did not imagine the widespread adoption of digital technologies into everyday life. 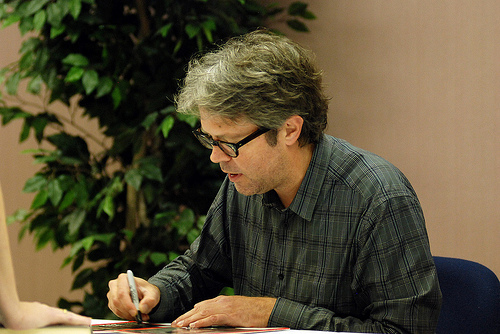 I feel that Mr. Franzen in making a similar mistake. One compelling statistic is the dramatic rise in ownership of eBook readers and tablet computers in late 2011, as announced by the Pew Research Center. Ownership by adults for both kinds of devices rose from 10% to 19% in just over a month. That’s compelling data, strongly demonstrating the digital shift that world is undergoing. Libraries are struggling to keep up with the eBook phenomenon, hampered in part by rapidly shifting relationships between themselves, publishers and eBook vendors that broker licenses, access and prices between publishers and libraries. It’s a world where the sands will continue to shift for a while. That said, I find it very interesting that one well-known U.S. bookstore, Barnes & Noble, is gearing up for the eBook future and challenging Amazon and its Kindle. The New York Times described the efforts in a recent article. It’s an uphill battle and it’s clear from the article that publishers are aware of the challenge that B&N faces. A debate on this morning’s CBC radio program Q, which covers the arts, explored the tension between online bookstores such as Amazon and independent bookstores. There is a growing consensus that there is a symbiotic relationship between eBooks and printed books, between online vendors and in-person, real life stores where you can talk to a sales rep and walk out with a printed-on-paper, bound book in your hand. I agree. It’s not either or, but rather that reading and the demand for books is multiplying because of both. They leverage off of each other. Libraries must continue to stay on top of trends and issues related to eBooks and innovate as needed if THEY are to stay relevant as the landscape changes.